I had been to the Wilcox once before for drinks and I saw some tasty looking food walk by, so I had to come back. 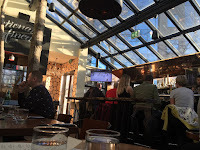 A trendy spot, it has different levels you can sit on and a glass ceiling in the bar area. 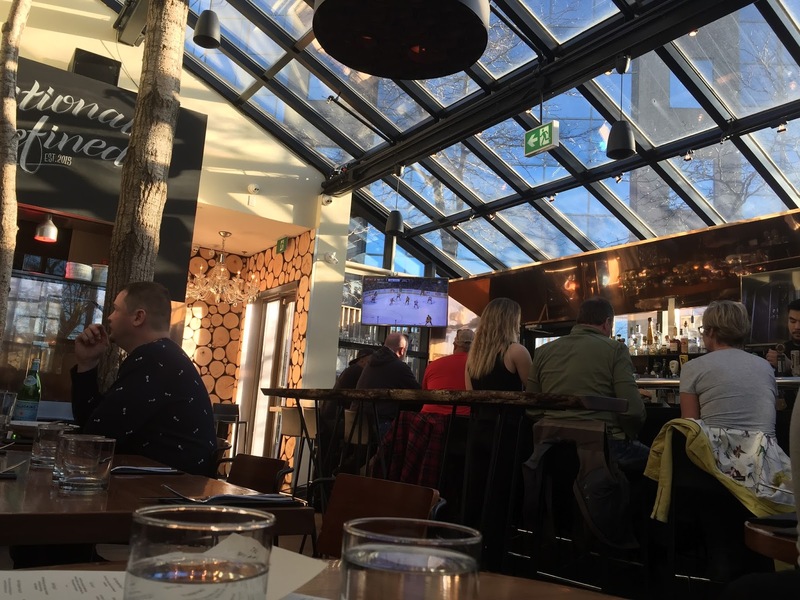 The bar area has TVs on every wall and taps food love fabulous craft brews. Seated in the bar lounge on a sunny day, there was lots of natural light. There was could see a balcony that overlooked this area. We ordered some craft beer; my friend went with a beer from Muskoka and I had some Side Launch. 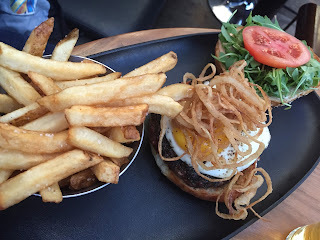 As we browsed the menu, the Wilcox Burger and Steak Frites caught my eye. A woman at the next table was just finishing her Steak Frites and highly recommended them. I was sold! My friend also thought the Wilcox Burger looked good, so that made it easy. Our servers were great. Much like my first visit, they're all pretty cool with a good sense of humour. They were on point, keeping tables clear and glasses full. I really like this place; it's got a good vibe and comfortable seating. I'll definitely be back. 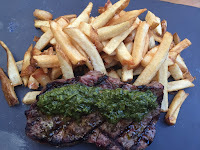 I just hope I can choose something other than the Steak Frites!